The Olympic Games are one of the most effective international marketing platforms in the world, reaching billions of people. It’s become the second most valuable global brand, second only to Apple. The most recent value tag of 47.6 billion dollars is a staggering 87 percent increase since the games in Beijing. Support from the business community is crucial to the staging of the Games and the operations of all organizations within the Olympic Movement. Revenue generated by commercial partnerships accounts for more than 40 percent of Olympic revenues and partners provide vital technical services and product support to the whole of the Olympic Family. Each level of sponsorship entitles companies to different marketing rights in various regions, category exclusivity and the use of designated Olympic images and marks. But the Olympic brand wasn’t always so popular or profitable. The movement was on the verge of bankruptcy 30 years ago. Written off as a costly, overly political and non-commercial event, it took a new marketing approach and strategy to save the Games. The big idea was to create the Olympic Partner (TOP) program. Companies would be given exclusive rights to the Olympics trademarks and guarantees that only their products would be sold at Olympic venues in exchange for vast sums of money. The TOP program brought in big sponsors including Coca-Cola, McDonalds, and Visa – who would sign contracts to sponsor multiple Games. Their payments were shared between host cities and divided among almost every country in the world, to cover their costs of sending athletes to the Games. 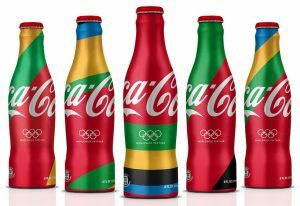 But plenty of non-official sponsors make their attempt to have their brand recognized with the Games, which is widely known as ambush marketing – something the International Olympic Committee (IOC) takes very seriously. Ambush marketing is taken seriously because certain rights are acquired by companies who invest millions of dollars to help support the planning, staging and organization of the Games in an official capacity. People who seek the same benefits for free, without investing in the Games by paying for these rights – for example by engaging in ‘ambush marketing’ or producing counterfeit goods – are effectively depriving the Games of key revenue. To ensure that local businesses comply with the trading and advertising laws and to protect the Olympic brand and sponsors, Olympic enforcement officers patrol around venues before and during the games. It’s become a controversial subject for local host city businesses who say that these rules are suffocating and too heavy handed. But what can happen if these rules aren’t enforced? At the 1996 Games in Atlanta, the image of the Olympic movement was practically destroyed because the commercial agenda got totally out of control. Every snake-oil seller descended on Atlanta. It destroyed the image of the city. These new crackdowns on guerilla marketing have kept London 2012 relatively clean and safe for Olympic brand partners. So, by way of these branding rules, we get regulations such as Visa being the only credit card accepted at any Olympic venue, just as it was for those trying to buy tickets for the Games last year. McDonald’s will be the only branded food that can be sold at the events and Coca-Cola the only drinks provider. Logos and adverts for competing brands will be covered up to avoid ‘contamination’ during the Games. However some brands can sneak in thanks to camera coverage of certain stand-out athletes. Chanel got a huge plug when a certain USA Track star ran her race and then subsequently posed for post-vistory photos while wearing her earrings! And Nike scored big on the placement for South African runner Oscar Pistorius, who had logos adorning his prosthetics, gaining the swoosh about $50k in branding despite the fact he did not make the final. Yet Adidas has spent around 150 million dollars to be the official sportswear partner of the London Olympics and sponsor of Team Great Britain, in an attempt to overtake Nike as the number one sportswear brand in the UK. Being an “official sponsor” at the London Games puts companies like Cadbury (listed as an official supporter of the Games and the official treats provider – and British homegrown company) in an exclusive club of only about 41 other corporate sponsors who are divided up into four separate partner categories. Worldwide Partners include Coca-Cola, McDonalds, P&G and Visa among others. Official Partners include Adidas, BMW, and British Airways. And then there are Official Supporters, and Official Suppliers and Providers. Olympic branding is definitely a big deal. It’s arguably saved the way we see the Games, and for the brands themselves, a whole new consumer emotional connection has evolved.